Home > Weight Lose > Weight Loss > Yoga > What Type Yoga is best for Weight Lose? What Type Yoga is best for Weight Lose? Weight loss is complex tasks for beginners. But the most basic tenet is that you need to burn your more calories than you consume in order to reduce weight. To lose your weight you have to increase your strength, flexibility, and balance. Yoga can help you to lose your weight because it burns calories. You can join yoga classes, it is best for weight loss because the increased activity burns more calories. There are many types of yoga that can help you to lose your weight in one month, but you have to choose the yoga that best fits your fitness approach and increases the chance of your weight loss in less time. Active yoga classes include more physical movement, more challenging poses, and cardiovascular exercise. In yoga classes, there is more focus on strength building. Vinyasa yoga includes continuous movements from pose to pose, with yoga pushups. Ashtanga yoga includes core strength development, arm balances and strength work. Bikram yoga includes a series of 26 poses that help you to lose weight fast. Engaging in yoga four to five times per week can help you to create a regular habit that will eventually contribute to overall weight loss. A yoga activity helps you to burn calories, but it also helps you to create muscles. 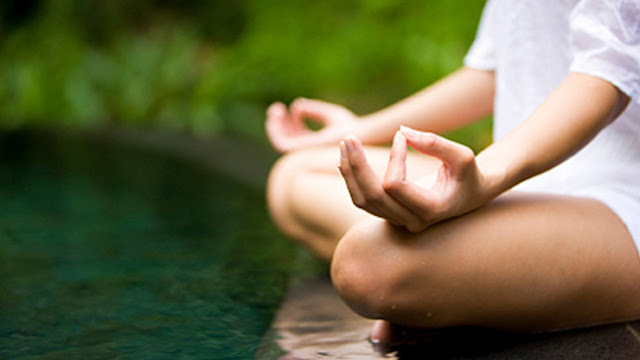 Opt yoga classes that involve 50-90 minutes of high-intensity movement. Most yoga won’t burn as many calories as compared to traditional exercises such as running or jogging. In yoga classes, if you feel less stressed and more at peace, you might feel full less inclined to eat or drink when you are feeling anxious. Some yoga classes, including gentle yoga or restorative yoga, are better suited for relaxation and stress-reduction than weight loss because of the lower number of calories burned. For example, a relaxing Hatha yoga class that focuses on simple, traditional movements will burn 189 calories in an hour compared to 351 calories in an Ashtanga class, 477 calories burned in a Bikram class or 594 calories burned in a Vinyasa class, according to Fit Sugar. Calorie counts are approximations based on individual weight, though, and some calories burned in heated yoga classes have more to do with sweating in order to cool the body than actual physical exertion. In general, though, quieter yoga classes won’t burn as many calories.